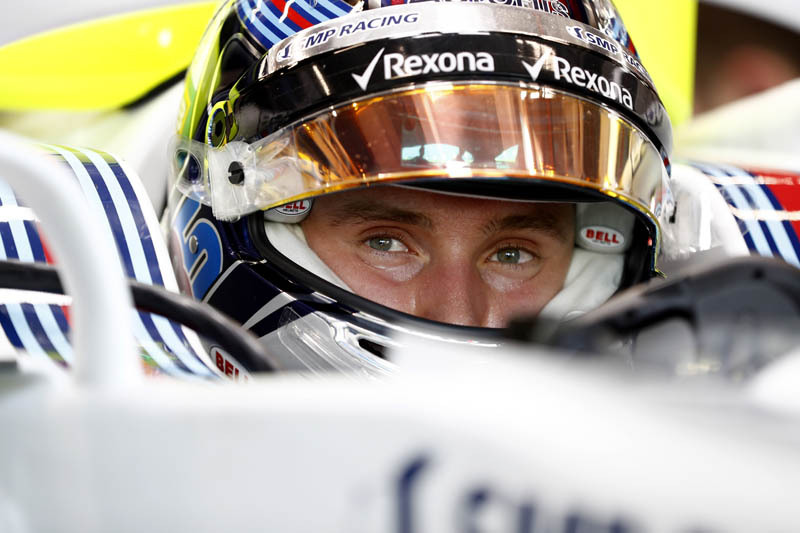 Sergey Sirotkin qualified 15th and Lance Stroll 19th for the Brazilian Grand Prix. Both drivers qualified on the Supersoft Pirelli tyre. Sergey set a time of 1:09.259 on his final flying lap in Q1 to finish 13th and progressed to Q2. Lance set a time of 1:09.441 on his final run in Q1 to finish 19th. On his one and only run in Q2, Sergey was obliged to run a used tyre and failed to improve on his Q1 effort with a 1:10.381, so finished the session in 15th. Paddy Lowe, Chief Technical Officer: It was an interesting session at Interlagos with intermittent rain, which we so often see here, as usual coming in first at turn 12. In actual fact, the rain didn't affect the pace for any of our runs. We didn't start off too well with either car in the first run, but with the second set of tyres, Sergey managed to get a really good time which was enough for P14 at the end of Q1. Unfortunately, Lance wasn't as fast. We sent both cars out on a third set, and on Lance's side, he improved his time but not his position. In Sergey's case, we were able to abort the lap because his position became safe. In Q2, we only had this part-used set of tyres and didn't manage a great lap, so we remained P15 at the end of the session. We have a good position to start the race on Sergey's side, which will improve further after Ocon's penalty, so we will do our best to get a points result with one or both cars tomorrow. Sergey Sirotkin: It was a good session with tricky conditions which is always good for us. When it's cloudy and damp, we always perform better. The car felt very good, I had one run less than everyone else in Q1 and managed to get through which is positive for us. We went into Q2 thinking the rain would come, and when I exited the pits, due to the changeable conditions the scrubbed tyres were cold meaning I had to push hard to generate temperature. On my lap, I had to slow down to avoid Lewis, which in turn meant putting a wheel on the grass and ruining the lap. Overall, it was a good session and we are happy with the performance. Lance Stroll: It was just a bad qualifying. It was a bit of everything - rain mistakes and not a good lap. It was frustrating as there was definitely a lot more in it. I shall have to reflect on qualifying, learn from the mistakes, bounce back tomorrow, hopefully I will get a good start and go from there, as it is a lot of fun to drive round here.